Helicopter Parenting: The Jury is Out! Every generation has their own parenting style and today’s most current style is called ‘helicopter parenting.’ Unfamiliar with the term, I did some research and found that the term was first used by Dr. Haim Ginott (someone I am familiar with!) in 1969. His book Parents & Teenagers found that teens experienced their parents hovering over them like a helicopter. The term became popular enough to become a dictionary entry in 2011. So, why are parents hovering? Here are 4 common triggers. Fear of dire consequences: A low grade, not making the team, not getting accepted for a job can appear disastrous to a parent, especially if it seems it could be avoided with parental involvement. Many of the consequences the parents are trying to protect their children from —unhappiness, struggle, no guaranteed results are great teachers for kids and can improve their ability to bounce back from disappointments. Feelings of anxiety: Parents worry about their children’s future and in an effort to protect their children, parents take more control. Overcompensation: Adults who felt unloved, neglected, or ignored as children can overcompensate with their own children. Peer Pressure from other parents: When parents observe other parents acting as helicopter parents they might feel that if they are not as immersed in their children’s lives and therefore they are bad parents. Guilt is a large factor in this dynamic. Many helicopter parents start off with good intentions. Dr. Gilboa suggests that “It is a tricky line to find to be engaged with our children and their lives, but not so enmeshed that we lose perspective on what they need. 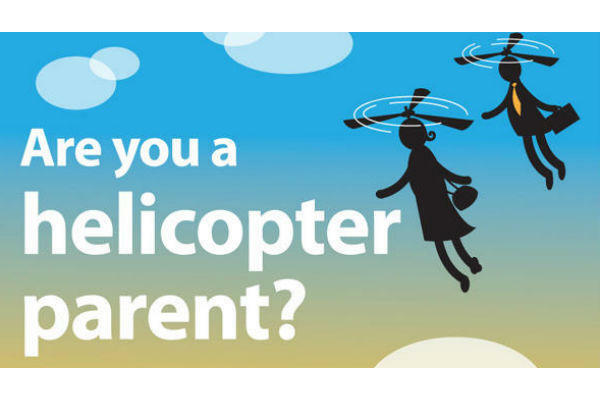 In my next blog I’ll be sharing the consequences of helicopter parenting on your children and the controversy among professional described in the Atlantic Monthly and Bloomberg View. You can draw your own conclusion. Oh, yes! It’s a big one. Sharing this (and next week’s, too!) on FB. Thanks for posting, Marla!